Clóna's blog | Page 3 | Clóna Dairy Products Ltd.
Clóna are once again one of the sponsors of the Clonakilty Street Carnival next Saturday 16th June. Bring the whole family and enjoy FREE, music, street entertainment & fun for all from 11am until 8.30pm. The official theme of the Clonakilty Street Carnival 2018 is ‘Social Together’ in celebration of the community and visitors alike gathering together for a truly social day. Planning some Bank Holiday Baking or Entertaining? Entertaining friends and family this weekend? Planning to bake some tasty treats for the family? 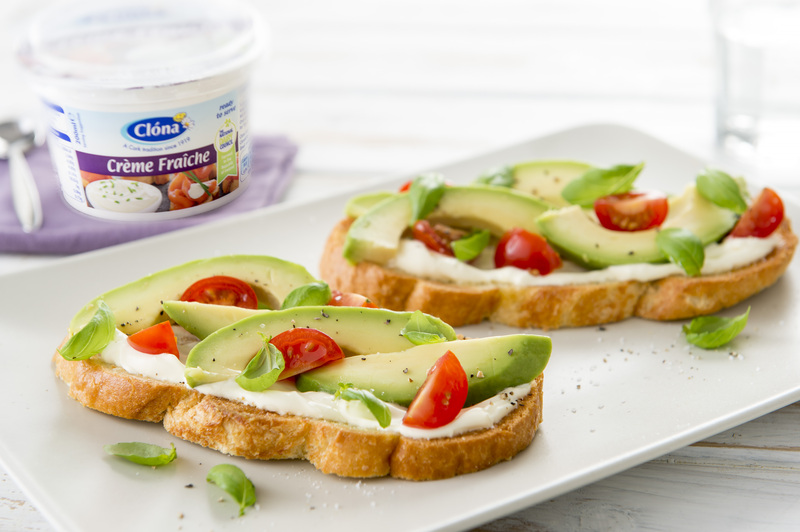 Pick up some Clóna Whipped Cream, Clóna Sour Cream and Clóna Crème fraîche - all you need to add that special something to any dish. Congrats to the All-Ireland Chowder Champions 2018! Clóna Dairy Products were proud to sponsor the 8th All-Ireland Chowder cook off in Kinsale yesterday! Congratulations to Dan Cronin's Bar/Bistro, Newcastlewest, Co. Limerick - the newly crowned All-Ireland Chowder Champions of 2018! Also congratulations to the 2nd place winners Waterfront Hotel, Dunloe and 3rd placed Marine Hotel, Ballycastle. Clóna are proud to once again sponsor the Kinsale All-Ireland Chowder Cook Off this Sunday - 22nd April 2018. Sample delicious chowders from over 25 competitors and vote to crown the 8th Chowder Champion. Doors open 2pm on Sunday 22nd April, Actons Hotel, Kinsale. Tickets for this event are €15 available at the door. 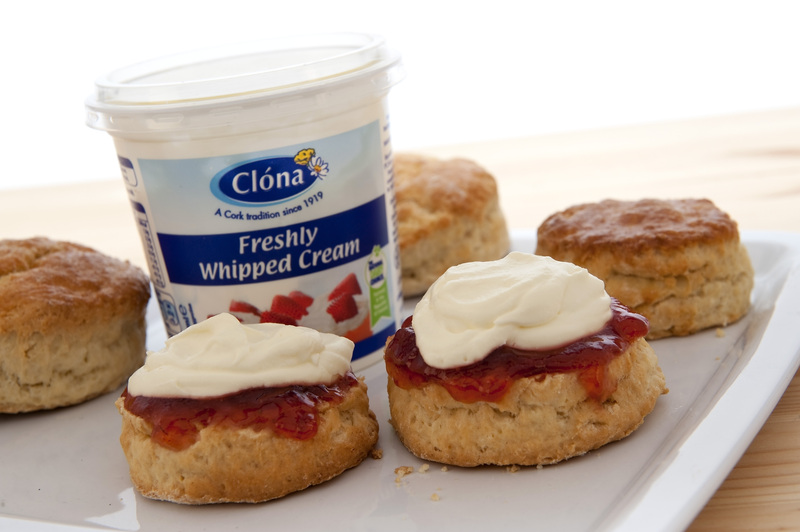 Clóna Dairy Products Ltd are now looking for applicants for a number of van sales positions. Find out more and apply on our Careers Page! We hope you enjoy the break and family time. Clóna Dairy Products would like to wish it's staff and customers a very Merry Christmas and a Happy New Year! Monday 18th December – Friday 22nd: 9am – 5pm. Sunday 31st December and Monday 1st January: Closed. Clóna will be at Smith's SuperValu in Kinsale for the Christmas Fayre on December 7th from 4-8pm. We will also be at Day’s Whitegate Aghada December 8th – Josephine will be there from 12:30-5pm. Come over and say hello to Josephine and try some delicious tasting samples. The Irish Farmers Journal is hosting its National Dairy Day today, Thursday 23 November 2017 in Punchestown Event Centre, Co. Kildare. The event promises to offer solutions for a growing sector. The day aims to showcase all that is good about the dairy industry and find solutions for farmers to emerging challenges and trends. Call by the National Dairy Stand at D16 and say hi to the Clóna team! The Kinsale Gourmet Festival is on this Saturday 14th and Sunday 15th at Acton’s Hotel, Kinsale. Clóna are delighted to be one of the main sponsors this year. The Piece de Resistance Fruits de Mer Seafood Spectacular is on Sunday 15th October 2017, at Acton’s Hotel. Kicking off with a drinks reception, followed by delicious food, wines and an array of talent to dance away the evening too.